I owe my return to full-on cinephilia to my wife, Amanda. She encourages my movie-watching, plans dates for us to go to the movies, inspired me to start up this blog. Save one or two this year, she is at my side for every single movie I see, at least at the movie theater. And, this year, 2015, is the year we've been able to see the most. If you're a regular reader of mine, then you know I don't often get too cynical. I have something in me that makes me agreeable with almost any movie. I don't like to bash movies. Unless a movie just plain bores me or treats me as if I'm stupid, my reaction will most likely be positive. I'd say this lack of cynicism comes from one simple truth: I love movies. The escape is what I love. I romanticize them. I'm not really interested in making them myself and simply remain as a child in awe of this huge amazing thing. I don't get to see that many, especially in comparison to a real movie critic, who may see hundreds of movies each year. Of all the films released in 2015, I've seen a mere 58. There are plenty more to see, but I only have a few regrets as I go ahead and do this list. After all, it's the movies I see in the theater with my wife that truly stick. I ordered these films based on how I "feel" about them, or how they made me "feel." They all received four star reviews. I asked myself: Which ones stuck with me the longest? Which ones will I want to watch again? I got really excited when Kevin first asked me to guest spot on his blog talking about my top 15 favorite movies of the year. That excitement quickly waned to apprehension as I remembered that I have never written about movies before. Anyway, I stuck with it, and I hope you enjoy it. For those who are regulars at reading Kevin's blog, know that Kevin and I don't always see eye to eye on movies. A few examples: While viewing The Tree of Life a few years ago, I audibly sighed because I was bored out of my mind. Kevin, on the other hand, is blown away by the mystical aura that is Terrence Malick. The same is true as when he got chills during a preview for Malick's next film before viewing Anomalisa. I felt nothing. Last year, I thought Eddie Redmayne deserved the Oscar. Not that I thought the movie was fantastic, but I thought he really pulled off Stephen Hawking. I actually thought he was really cute in Les Mis. Kevin hates Eddie Redmayne. We did agree, though, in 2013 that Nebraska was a marvelous film, so unique and real. And then, this year, there's that time I looked at him during Creed and said, "I am glad I forgot to put on mascara because I wasn't expecting this." Now, I think you get where I'm coming from. David Robert Mitchell's sophomore effort is the best-looking horror film I've ever seen. Plus, it scared the hell out of me...for days. And that Disasterpeace though! 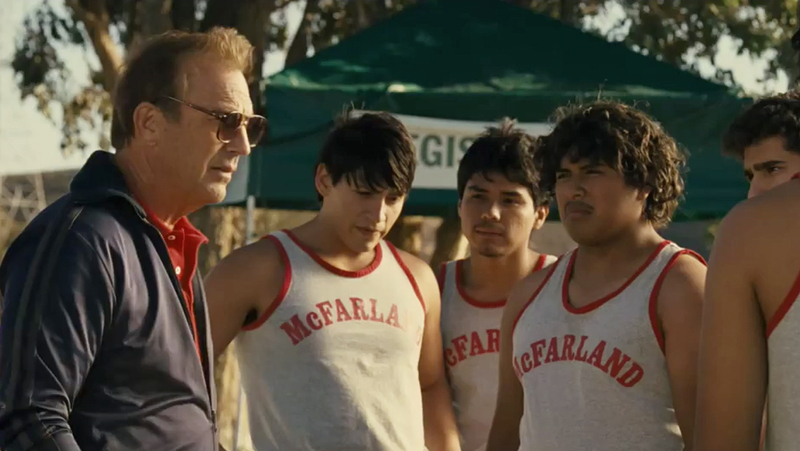 I am sucker for sports movies simply because I love sports. This movie had me rooting for everyone the whole time, and some of the shots were amazing. The now Best Picture winner is a masterclass in procedural storytelling, finding itself among the ranks of All The President's Men. It is also highly important, fully engaging, perfectly acted by the best ensemble of the year. Confession: I have had a crush on JGL (yeah, I know you know who that is) since his 3rd Rock From the Sun days, but that aside, I have never felt more suspense (I was gripping my chair and sweating!) like I did in this movie. Todd Haynes makes a 1950s romance better than they did in the 1950s. Powered by two perfect performances, shot with pure style, scored by a master, the feels are real with this one. This was a beautiful movie. I loved the storytelling, and how it completely took me by surprise. The acting was superb as well. There was not a better comedy in 2015...period. I literally never stopped laughing. Now, I'm gonna go "have some pasghetti." What an adrenaline rush! I was in awe of this movie in the theater and later watching it again. The effects are amazing, especially how much the filmmakers were able to accomplish without CGI. It was a fun movie for me. A movie of big ideas and conversation about science and attraction and betrayal and manipulation made of a genius screenplay and the most perfect visual effects of the year. The emotion in this movie is so real. I wasn't even sure I wanted to see this movie, but I was glad I did because of how incredible the acting was and how much it made me think about the emotional trauma someone might go through in this situation. As with all of Denis Villeneuve's films, it starts out as one thing and ends as another entirely. This is the best film he's made, a story of the lengths government agencies will go to change almost nothing, featuring top-notch everything, including a performance from Benicio Del Toro that is as shifty and menacing as the man himself. The way this touchy subject was portrayed was fantastic, serious yet not demeaning. The acting was world class. Ben Mendolsohn gave the most perfectly understated performance of the year in this calm throwback to a sort of '70s road picture. 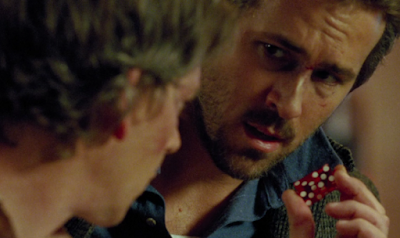 His work is matched, unexpectedly, by Ryan Reynolds. It is an assured movie, made by Ryan Fleck and Anna Boden with an obvious care for character that we don't often find in movies anymore. A little background on me, I am reading, watching, etc. everything about the Holocaust at the moment. This movie is like nothing I have ever seen about the Holocaust or otherwise. It is also.a unique story about such a devastating time that is often not told. Consider this a pairing with my previous pick, The End of the Tour finds two very different men on the road, a book tour through the midwest. This time, though, it's a famous writer and his not so famous interviewer. Jason Segel is another unsung revelation of last year here as David Foster Wallace in a performance riddled with humor, insecurity, and confidence all at the same time. Again, I love history, and this is a time period I don’t know as much about even though my mom was born in Germany literally days before these events took place. The time period is captured perfectly, and the tenseness people felt during that time truly comes across through the lighting, acting, and music. In all honesty, we're starting to get to the point where any of the movies going forward on this list could be number one. I was high as a kite when I left this movie. It is the most fun I had all year. Homage, tribute, original work all rolled into one. Getting to see the familiar characters with the new in a story that is as good as any of the previous films, if not better....well, there's almost nothing better. From the first moment I saw this trailer, I knew I wanted to see this film. The simplicity of love and the immigrant experience is well portrayed and beautifully told. My theater experience with this film is one I will never forget. Hundreds of people in a huge RPX theater, silent except when gasping for breath, hanging on every single minute of the epic runtime, enraptured by the sheer brilliance and dedication of all involved. Some may have hated it. They didn't show it in the room. I only saw Rocky for the first time right before seeing this. I felt a whole range of emotions when watching this movie. It was entertaining, nostalgic, and brought Rocky to a new generation of moviegoers. The most solidly well-told story of 2015...bar none. It is brave in its sentimentality, fully developing a character we believe and trust, matching him with a character we also believe in and trust, pitting him against characters we believe in and trust. The final scene of this movie, on a bridge, is the best thing put on film all last year. You have no idea how pumped I was to see this movie! I made sure Kevin watched all of the six previous movies, despite some of their faults, before this came out to make sure he was ready. I thought this movie did the franchise justice, and I can’t wait for the next installments. The previews for this were totally misleading in a good way. I loved the “breaking the forth wall” and cut aways to explain things. This movie was smart and unique. Like my previous two picks, here is a film that does nothing wrong in telling a story about decent people. There is not a shred of cynicism or negativity anywhere near this movie. It is about a two loves within two loves, over the course of a year in the 1950s. It is about internal conflict drawn out by external, all so perfectly played by the Best Actress of the Year...Saoirse Ronan. This movie was just exciting, and how can not root for Matt Damon! I laughed, I held my breath, and I had times where I wanted to cry for his situation. This movie to me was one of the most entertaining movies I saw this year. What does it mean to grow up? We've all felt it, but, to watch Pete Docter and Pixar's latest masterpiece, is to not question anything at all. This is a movie in which you learn who you are and why you are and how you got to be you. It is rare achievement, one of incredible beauty and craft, filled with amazing performances of voice, a story that will never die or even get old because it is made from pure timeless truth. Again, going back to my history roots, my students know how much I love a survival story, so this was in my wheel house! The landscape, natural-lighting, the sets, and acting were all incredible. Some of the scenes were mind-boggling. The importance of offering the truth about the 2008 financial meltdown in America has never been more evident than as offered in The Big Short. A comedy writer and director, Adam McKay has made the coolest film of the year, the cleverest, wittiest film of the year, the most important film of the year, the most perfectly cast film of the year. It makes you laugh at your own anger that you may not have known you had, and it makes you crazy in your own laughter that you sat back, defenseless, as you allowed this travesty to happen in your country. Now, since it's Super Tuesday in Tennessee, I'm gonna go vote for the only candidate willing to take on the crooks who did this to us. I hope you will do the same, wherever and whenever your primary takes place. This is my top pick for several reasons. First, I can still remember watching the trailer for the first time. We were over at a couple's house who have small kids. Amy, Kevin's best-friend-from-birth's wife, said to me, "I can't wait for the new Pixar movie to come out." I was shocked I had no idea what she was talking about, so she gave me a brief description and found the trailer on YouTube. I got teary-eyed. I knew I had to see it when it came out. As we began to see it during movie previews, I made this known to Kevin. Fast forward to the summer, and Kevin and I decide to go after our morning routine of playing tennis. No shower. No change of clothes. Just straight to the first showing that day. We head in, and I strategically grab a handful of napkins on the way in. It was packed. Full of SAHMs and kids ... And us. Where to sit? Ah, the perfect spot, next to the only other person without a kid. Then comes Lava. (I am starting to sing the song now.) At the end of the short, I looked at Kevin and said, "I knew I would cry, but I wasn't planning on crying before the movie starting," quickly going through my napkins. Then the movie started, and I laughed, cried, and understood, having experienced this with many students as a middle school teacher. I loved seeing it with kids to hear their reactions. I have since watched it with kids at school and our cousins, and each time, it is great to experience all of the emotions with them. The movie itself is incredibly creative and clever, which makes me love it even more. And I believe it's message of how sadness can allow you to be joyful again. If you don't believe me, watch the Disney short, "The Ballad of Nessie," which is on Netflix streaming, because sometimes through tears we find a better way. 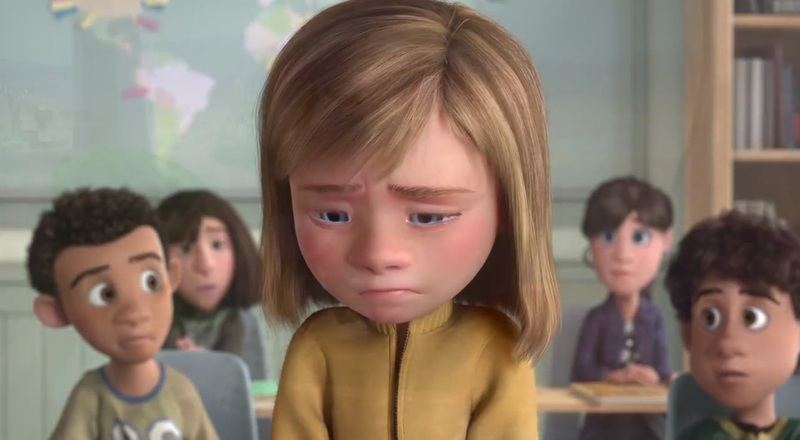 In wrapping this up, it's safe to say that Inside Out was our favorite film of the year, the true Best Picture. I like Amanda's picks. I couldn't bite the bullet on adding Son of Saul. It is a miraculous film that may find its way on this list at a later date, but it's still working on me right now. We also recently saw Andrew Haigh's film 45 Years. I didn't (or don't think I) love it as much as everybody else, though it may have the most powerful final shot of any film last year, and there's no denying how good Charlotte Rampling is in that film. Let me know what we've missed. I know there are a lot, and, like all of us, we never stop. I love so many things about this post, buddy, but the fact that you did this with your wife AND that she picked the BEST MOVIE OF THE YEAR as her #1 is probably my favorite thing about it! I'm glad that you, pretty much, agree. Love that Cinderella is right outside of your Top 15. HATE that you didn't watch Beasts of No Nation. Um, fix that. Yeah. I'm not done with 2015, but we had to get this out. Need the closure, so we can move on to 2016. Beasts is on my list. I plan on watching it soon. I have Netflix. Not sure what kept me from seeing it. Cinderella was lovely and very close to this list. Thanks, man. This is so wonderful that you can share this. My hubby and I can to a point. I liked Ex Machina more than him. I thought Spotlight was excellent and the ending seeing all the States and then the world, affected by this blew my mind. Glad your wife loves history since so many do not. I was told, just last week...again, to write a book about my mom's life. Thanks. I would love to write about my Mom's life. It is fascinating. First off, I must say that I loved that you did his with your wife. That's just truly wonderful. 15. Mad Max: Fury Road - An excellent return to the Mad Max franchise. 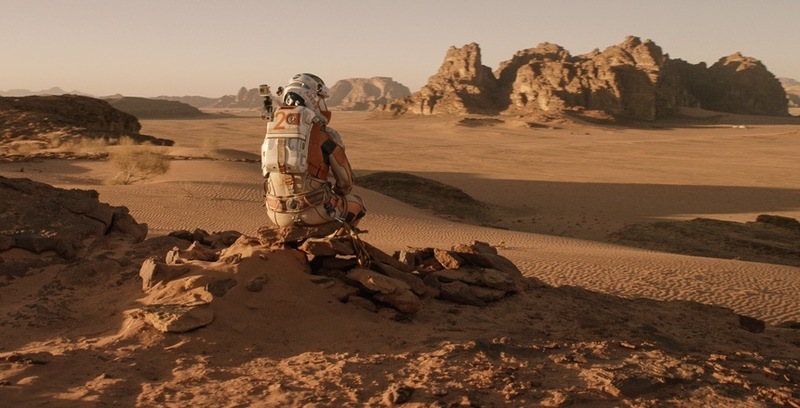 The technical achievements in that movie were excellent. 14. Star Wars: The Force Awakens - It was also an excellent return to its franchise. Even though I'm not a huge Star Wars fan (& I only watched the previous Star Wars movies just the week before), it's definitely one of the best ones in the Star Wars saga. 13. The Martian - Excellent film. One of the best sci-fi films of the decade. 12. Sicario - One of Denis Villenueve's best films (along with 2013's Prisoners). The cinematography from Roger Deakins was excellent. Benicio Del Toro was phenomenal in that film. I am now trying to revisit some of Villenueve's older films, particularly 2010's Incendies, & 2009's Polytechnique. 11. Room - So emotional. So powerful. It was excellent. 10. Spotlight - One of the best journalism films of all time. The performances were extraordinary. 9. Inside Out - The best Picar movie ever. And it really spoke to me, since I really connected to the main character, Riley. 8. Bridge of Spies - One of Spielberg's best films. Mark Rylance really deserved the Oscar for this. He was excellent, giving a performance that was relatable & natural. 7. Carol - Rooney Mara & Cate Blanchett were excellent. It was very powerful & emotional. 6. The Hateful Eight - Brilliant. Tarantino's screenplay should've not only been nominated, but should've won the Oscar for Best Original Screenplay. Jennifer Jason Leigh was excellent, & Ennio Morricone's score was nothing short of perfect. 5. The Revenant - Leonardo DiCaprio definitely deserved that Oscar. Even without a lot of dialogue, he still gave an excellent performance. Tom Hardy was also maniacally excellent in his performance. And the cinematography from Emmanuel Lubezki… oh, it was so perfect! 4. Creed - An excellent return to the Rocky franchise. Stallone was excellent. And Michael B. Jordan gave another excellent performance that should've earned an Oscar nomination for Best Actor. 3. The Big Short - One of the funniest films of the year. Also one of the most important films of the year. Everything was excellent about that film. And I agree with you, there's only one candidate who could take on those crooks & I would vote for that candidate (if I were old enough to vote). I think we both know who that candidate is. And it definitely isn't Donald Trump. 2. Steve Jobs - Everything was excellent about it. Excellent acting, excellent direction, & an excellent screenplay. 1. 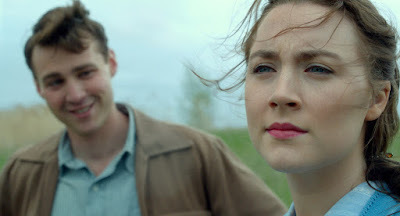 Brooklyn - Absolutely, positively, indubitably, the best film of 2015, & the best film of the decade so far. Saoirse Ronan was just so excellent in that film. I just can't get enough of her, & I adore her. The other actors in the film (especially Emory Cohen & Julie Walters) were also excellent as well. The direction & screenplay were amazing. The cinematography, film score, costume design & production design were all excellent. Definitely the best film I've seen in a long time. Nice list. We differ for sure on Steve Jobs and The Hateful Eight, but you've definitely got a good one here. Yeah. I definitely know how much we differ on those 2 films. But they were both really, really good. Also, I re-watched Room this week, & it's jumped up to number 7 on the list. Carol went down to 11. But I must talk more about The Big Short. It really piqued my interest, not only because of the excellent actors in it, but because of the subject matter. I vividly remember the 2007-08 financial crisis, & even though I was only 6 when it hit, I couldn't help but be interested about it. Especially up here in Michigan, where we were probably one of the hardest hit areas of the crisis, with the downfall of the Big 3 auto companies. And I still can't believe that only one banker involved in the crisis went to jail. There's a quote that Brad Pitt said in The Big Short that really stuck with me, "You know why I hate banking? Because it reduces people to numbers." But I have only one question about this country: Why, in a country that is shown to be one of the greatest countries in the world, lets their 20 richest people have more wealth than 50% of Americans combined? How is this allowed to happen? But I think that Bernie Sanders was correct when he said, "If a financial institution is too big to fail, then it is too big to exist." He seems to be the only one willing to go up against the big banks. I like Hillary Clinton, but I feel that she wouldn't do enough. And the Republicans wouldn't do anything. Trump, Cruz & Rubio make me absolutely sick to my stomach. Kasich is the only good Republican out there, because he's the only nominee who doesn't have to ostracize his opponents to get his point across. I hope & pray that Bernie Sanders wins. If I was old enough to vote for him, then I would definitely vote for him. A lot of people that I've talked to love Bernie. I hope he eventually pulls through, because he is by far the best choice for President. Great post! I loved many of the same movies, including Ex Machina, The Martian, What We Do in the Shadows, and Sicario. I really liked Inside Out too. You've also listed many I haven't seen. I think I'll watch The Big Short with my homeschooled son (he's 17). Thanks! The Big Short is an amazing film. Comedy, drama, craziness. I loved every second of it. I love that you both did this together, you've got a great collection of films here. Thanks so much. We have a lot of fun at the movies together. That's such a cool idea for a post! 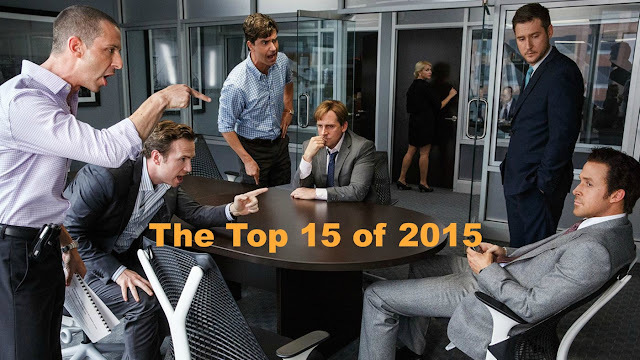 I love Big Short - it didn't get a lot of awards from me but it's my most rewatched movie of 2015. It's Wolf of Wall Street lite, not quite on the level of it but so very entertaining. i'm not very current in politics - who will you vote for? Thanks so much! We had a good time putting it together. I can't wait for a Big Short rewatch. Not available on Blu or streaming here yet. It is a "lite" version of Wolf of Wall Street but much deeper on a real current political level. I am consumed with the presidential race right now. Bernie Sanders is my guy, but he's having a tough time working into the Democratic party system, which is pretty much owned by Hillary Clinton. She's fine and a pretty strong Democrat (my party), but I just don't trust her to fight for real change, especially with the big banks. That is Bernie's whole message: Take down the stronghold of big corporate money on American lives. The Republican race is a laughing stock and embarrassing to my country. Love that your wife joined you for this. She did a wonderful job, too. In other words, I'm very happy to see all the love for Inside Out. And Creed! I join Andrew in saying please see Beasts of No Nation soon. I find it to be a tremendous flick. Great job! Thanks, man. We really had a great time working on this together. And, yes, I will see it soon. Speak's wife here. Thank you everyone for the sweet comments. It was fun to do! Thanks for helping out, Bird.